The Finnish National Core Curriculum for Basic Education was renewed in 2014; increasingly, teachers are encouraged to use a variety of schools’ outdoor facilities, such as local nature settings, for the teaching of various subjects (FNBE, 2016). In the study of “Hiking in the Wilderness: Interplay between teachers’ and students’ agencies in outdoor learning” we were interested in students’ and teachers’ agency in the context of outdoor learning. We aimed to find out the ways in which teachers’ and students’ agency emerge during the hiking trip and in which ways students’ agentic engagement could be promoted in out-of-school context. 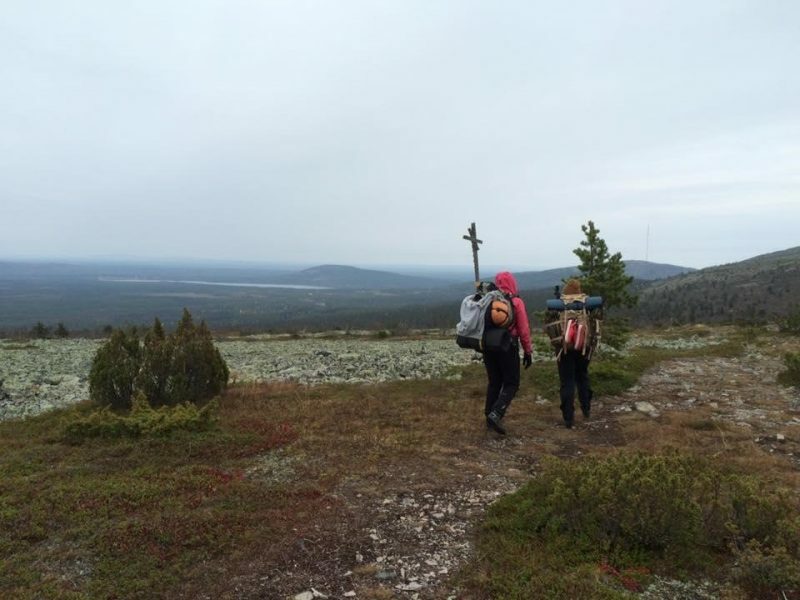 The study was conducted during a three-day hiking course taking place in the wilderness of Finnish Lapland. The participants were 21 upper elementary students and their two teachers. The central concepts of the study are ‘outdoor learning’ and ‘agentic engagement’. In the research literature, outdoor learning usually describes learning that occurs outside classrooms, often in settings involving nature. Outdoor learning can encompass a range of activities and such concepts as outdoor play and recreation, environmental education, adventure activities and outdoor adventure (Mackenzie, Son & Eitel, 2018; Tan & Atencio, 2016). In the research setting presented in the article, we refer by the term ‘outdoor learning’ to educational processes and learning experiences that a) uses and are built in natural and cultural environments, b) highlights the interplay of cognitive, emotional and bodily activities, c) is built in socio-cultural interaction between students, the teacher(s) and the environment, d) is based on context-specific affordances and pedagogical principles (Kangas, Vuojärvi & Siklander, 2018). Agency is considered to be a dimension of engagement (Sinatra et al., 2015). Agentic engagement suggests that participants – in this case students and teachers – are proactive during the hiking course. Edwards and D’Arcy (2004) recognises the reciprocal relationship between learners and their environment, and considers the learning environment to encompass physical, social and pedagogical aspects. The findings indicate four aspects of students’ agentic engagement, which are promoted through teachers’ agency emerging through evoking past experiences, future orientations and being closely engaged with the present. The students’ emerging agentic engagement was evident through four aspects of agency: responsibility, resilience, co-exploration and empowerment. The results provide evidence to support developing outdoor learning pedagogies particularly in terms of promoting generic skill development, students’ sense of agency and self-directed learning in authentic settings. Kangas, M., Vuojärvi, H. & Siklander, P. (2018). Hiking in the wilderness: Interplay between teachers’ and students’ agencies in outdoor learning. Education in the North, 25(3), 7-31. EDWARDS, A., & D’ARCY, C., (2004). Relational agency and disposition in sociocultural accounts of learning to teach. Educational Review, 56(2), 147–155. KANGAS, M., VUOJÄRVI, H. & SIKLANDER, P., (2018). Hiking in the wilderness: Interplay between teachers’ and students’ agencies in outdoor learning. Education in the North, 25(3), pp. 7-31. MACKENZIE, H. S., SON, J. S. & EITEL, K. (2018). Using outdoor adventure to enhance intrinsic motivation and engagement in science and physical activity: an exploratory study. Journal of Outdoor Recreation and Tourism, 21, 76–86. SINATRA, G. M., HEDDY, B. C., & LOMBARDI, D. (2015). The challenges of defining and measuring student engagement in science. Educational Psychologist, 50(1), 1–13. TAN, Y. S. M. & ATENCIO, M. (2016). Unpacking a place-based approach – “What lies beyond?” Insights drawn from teachers’ perceptions of Outdoor Education. Teaching and Teacher Education, 56, 25–34.